Getting RealIs ’13 Reasons Why’ a True Story? Is 13 Reasons Why a true story? Although author Jay Asher's story is not true story, the situations that occur are all based off of real-life situations that have happened to him or people around him. "All of the reasons Hannah describes were based, at least loosely, on situations I’d either experienced or heard about, mostly from my wife or close female friends," the author said in an interview with Coming Soon. Is Hannah Baker a real person? Despite the fact that Hannah Baker herself is a fictional character, she represents real people dealing with real issues like the ones she is faced with. Jay continued, "While Hannah wasn’t specifically based on anyone, her character always felt very real. So it was a matter of interpreting those situations through her thoughts and feelings." In fact, Jay had a female family member who attempted suicide at the same age Hannah Baker was. Years after, Jay came up with the concept for this story. 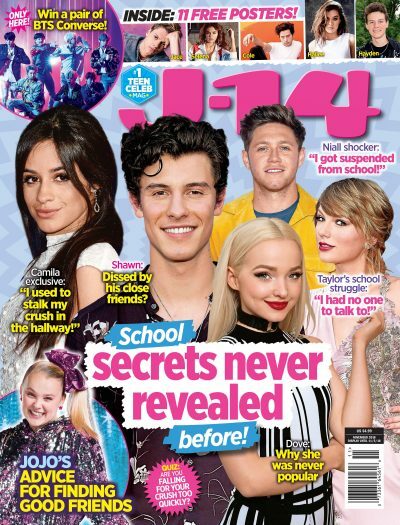 Jay exclusively told J-14, "The subject matter was inspired by a relative who attempted suicide when she was the same age as Hannah, a junior in high school. As for why Jay chose cassette tapes to tell Hannah's story, that part just came to him randomly when he was on a tour of Las Vegas, which was guided by audio tapes. "The structure was inspired by an audio tour I took when I was about twenty years old. I'd started writing seriously by then, and I knew one day I would write a book with that simultaneous dual narration," Jay told us in an interview. Is Clay Jenkins a real person? Just like the rest of the fictional characters in 13 Reasons Why, Clay is not a real person. However, this particular role is based off a real person in the author's life. Jay explained to J-14, "The only character based on an actual person is Clay. He's very non-confrontational, even when confrontation is needed, which is something I've always struggled with. And while many of the situations were based on real things I either witnessed or experienced or that were shared with me as I was working on the book, the characters in those situations are completely made up." So there you have it. The story may not be a true one, but the reason why it feels so authentic is because of the real-life inspiration Jay channeled while writing it. If you or someone you know needs to talk to someone, text the Crisis Text Line at 741-741 or call the National Suicide Prevention Lifeline at 1-800-273-8255. Tracked Down Where Does '13 Reasons Why' Take Place?